JANETTE KERR is also new to Kilmorack Gallery but is well-established both in the far north and the south. Her time is spent between her studios in Somerset and the Shetland Isles. 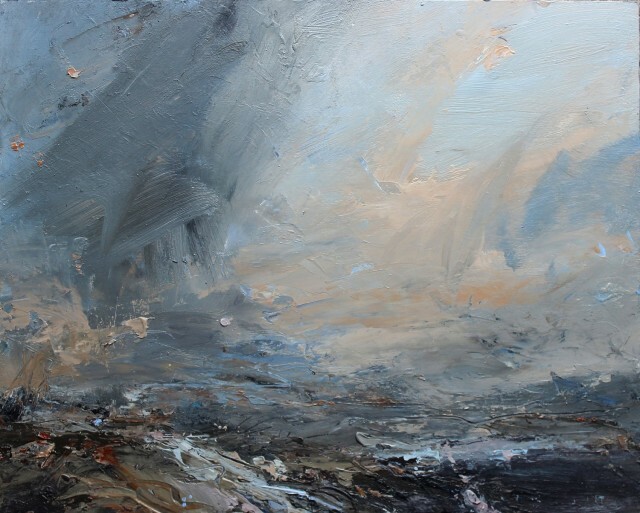 KERR’s inspiration is the energetic (and occasional calm) weather of the far north. Looking into her paintings - with their bold, painterly brushwork – is to be absorbed into the tumultuous world of KERR’s inspiration.